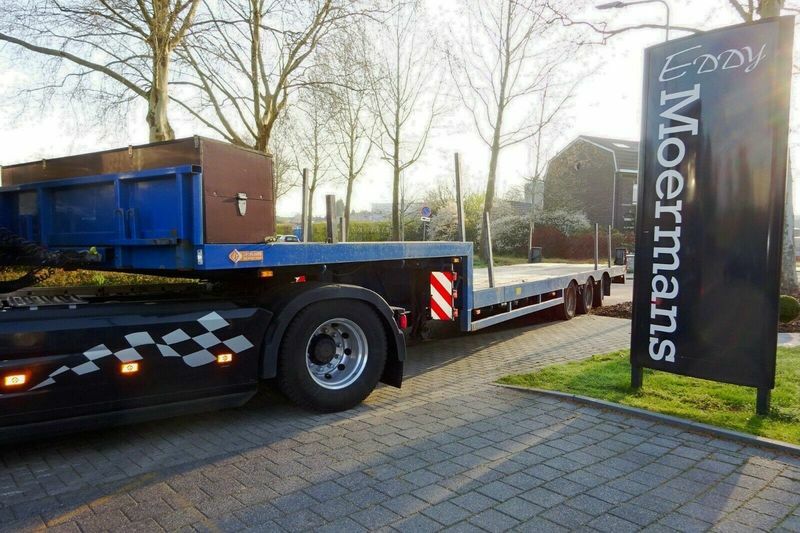 Used low loader semi-trailer LinTrailers 3LSDU-18.30 for sale by Eddy Moermans Handelsonderneming b.v. The price is 15500 Euro. Check the technical data of the unit, picked out from the catalog of low loader semi-trailer. This commercial transport unit was produced in 2004. The gross weight is 48000 kg. The details on axles, suspension and euro norm include: suspension: air, number of axles: 3, ABS. Body: loading length: 19850 mm, loading width: 2550 mm.